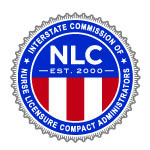 Click on the appropriate tab below to see the Initial Licensing Requirements, Process, Fees, Statutes and Administrative Rules for a Licensed Practical Nurse & Registered Nurse by Endorsement. Applicants are eligible for licensure by endorsement when they hold a valid license to practice professional or practical nursing in another state or territory of the United States. Applicants are eligible for licensure by endorsement when they have successfully completed the State Board Test Pool Examination (SBTPE) or the NCLEX. 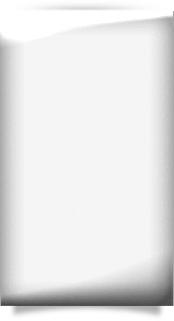 Applicants are eligible for licensure by endorsement when they have actively practiced nursing in another state, jurisdiction, or territory of the United States for 2 of the preceding 3 years without any criminal history or having his or her license acted against by the licensing authority of any jurisdiction. Applicants for initial licensure must use a Livescan service provider to have their fingerprints submitted electronically to the Florida Department of Law Enforcement (FDLE) for conducting a search for any Florida and national criminal history records that may pertain to the applicant. The results will be returned to the Care Provider Background Screening Clearinghouse (Clearinghouse) and made available to the board office for consideration during the licensure process. The Livescan fingerprints submitted by the applicant will be retained by FDLE and the Clearinghouse. All costs for conducting a criminal history background screening are borne by the applicant. The Board of Nursing is no longer authorized by law to accept hard fingerprint cards or results from the applicant. All results must be submitted electronically from a Livescan service provider. It is important to use the correct Originating Agency Identification (ORI) when submitting fingerprints. If you do not provide an ORI number or if you provide an incorrect ORI number to the service provider, the board office will not receive your fingerprint results. Applicants who reside outside of the State of Florida must have their prints taken on a hard fingerprint card and contact an approved Livescan service provider who converts cards. Applicants can use any FDLE approved Livescan service provider to submit their fingerprints. The applicant is fully responsible for selecting the service provider and ensuring the results are reported to the board office. For more information, FAQs, and a list of all approved Livescan service providers please visit the Background Screening website and click on the Livescan Service Providers tab. Please take the Nursing Electronic Fingerprint Form with you to the Livescan provider. Please check the service provider’s requirements to see if you need to bring any additional items. Please verify the ORI number submitted by the Livescan service provider matches the information provided by the Florida Board of Nursing. Any applicant who has ever been found guilty of, or pled guilty or no contest/nolo contendre to any charge other than a minor traffic offense must list each offense on the application. Reckless driving, driving while license suspended or revoked (DWLSR), driving under the influence (DUI) or driving while impaired (DWI) are not minor traffic offenses for purposes of this question. Failure to disclose criminal history may result in denial of your application. Each application is reviewed on its own merits. The Board of Nursing has created guidelines for specific offenses to be cleared in the board office; however, the staff cannot make determinations in advance as laws and rules do change over time. Violent crimes and repeat offenders are required to be presented to the Board of Nursing for review. 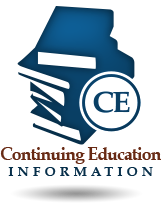 Evidence of rehabilitation is important to the Board Members when making licensure decisions. Self Explanation – Applicants who have listed offenses on the application must submit a letter in your own words describing the circumstances of the offense. Letters of Recommendation – Applicants who have listed offenses on the application must submit 3-5 professional letters of recommendation from people you have worked for or with. All applications are reviewed for completeness within 30 days of receipt of the application. Applicant must submit application with the appropriate fees to the Board of Nursing. Applicant schedules an electronic fingerprint appointment with a Livescan service provider and is fingerprinted. Applicant must contact licensing board where their initial and active licenses are held and request verification be sent to the Florida Board of Nursing. Once all materials are submitted, an application specialist will review them. It may be necessary for the application specialist to request additional information. When all requirements are met the license will be issued.